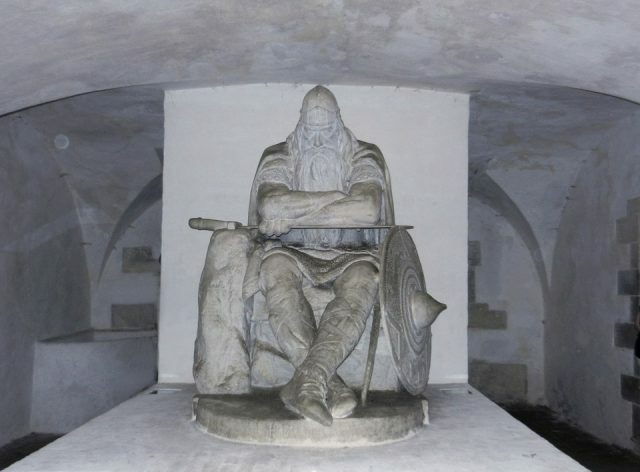 Antique sculptures near entrance to Frederiksborg castle in Copenhagen, Denmark – September, 24th, 2015. 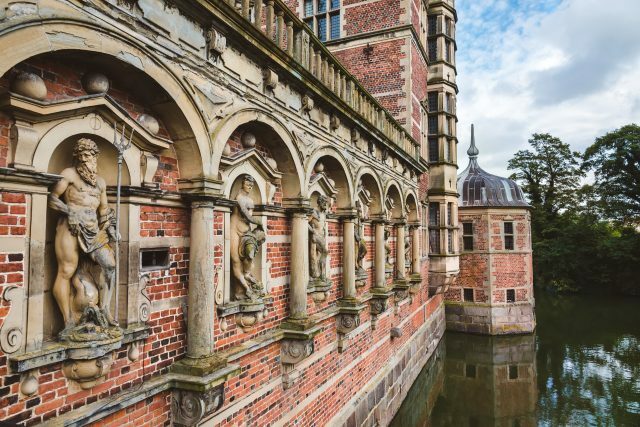 Red brick wall with statues reflected on the water of canal. 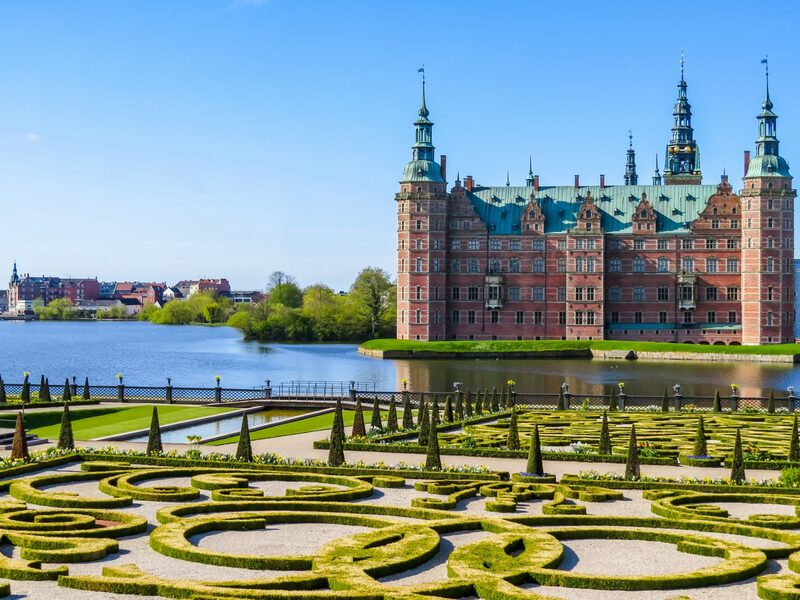 Head to the Danish Riviera of Northern Zealand for a day and discover Hamlet´s castle and Frederiksborg gardens. 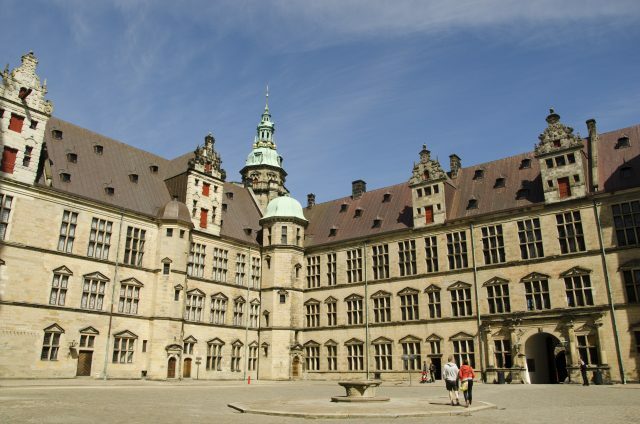 While there is good access to the Castle Courtyard, Kronborg Castle is not accessible with wheelchairs and buggies. 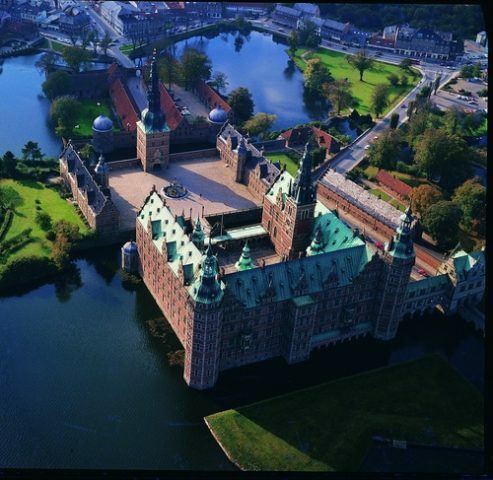 Our day begins with a drive towards the UNESCO World Heritage Site of King Christian V’s royal hunting grounds at North Zealand. 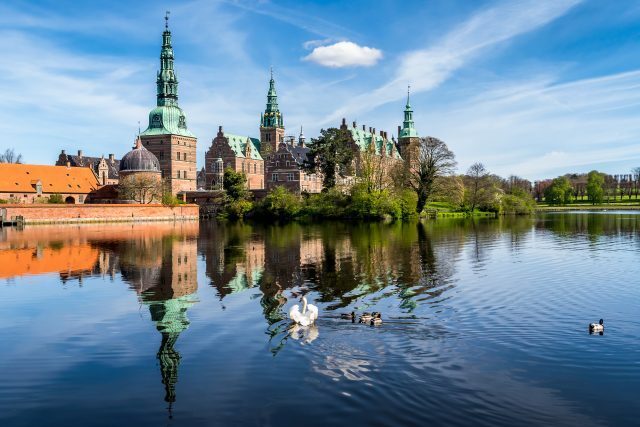 Arriving at picturesque seaside towns, we will visit the famous castles of Frederiksborg Castle and Kronborg Castle, home of Shakespeare’s Hamlet. 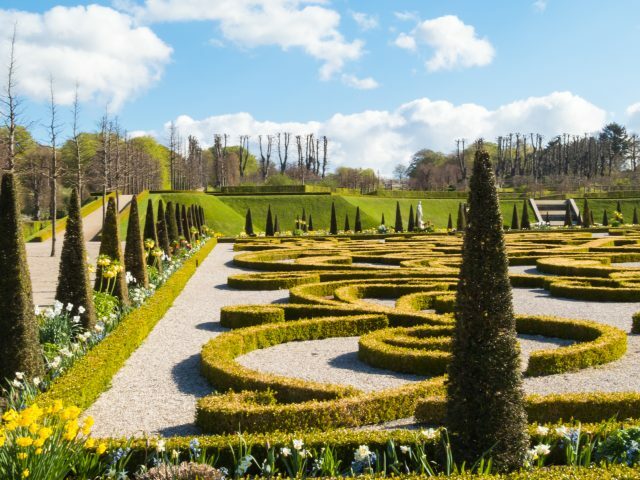 On a comprehensive tour through the baroque gardens and islets of Frederiksborg Palace, we will admire the palace built in Dutch Renaissance style at the beginning of the 1600s. 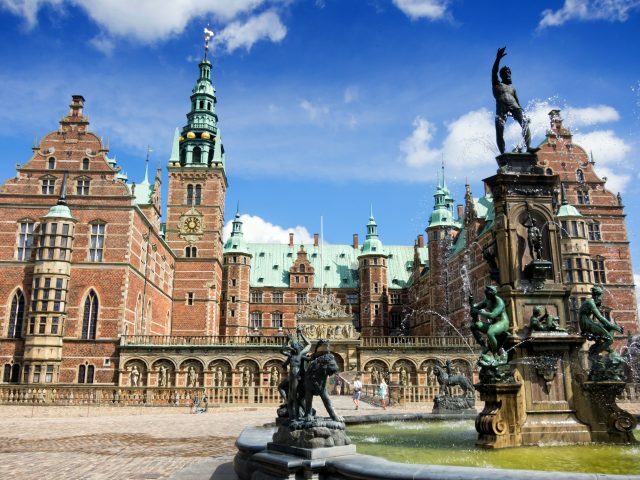 The Museum of National History at Frederiksborg Palace also exhibits the history of Denmark and houses a considerable collection of portraits, historical paintings and modern art. 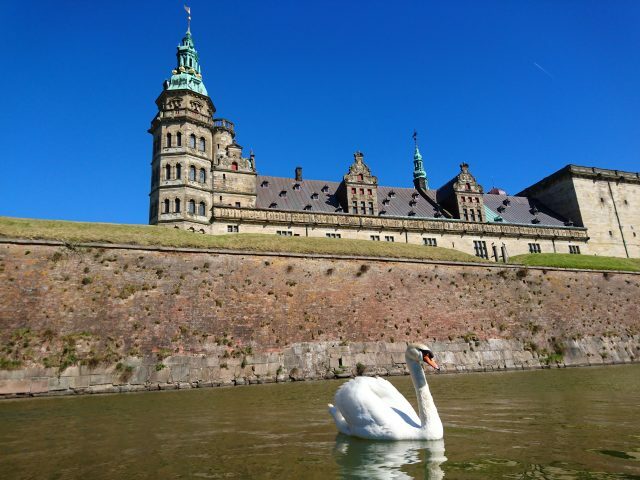 From there on we will discover the many mysteries surrounding Shakespeare and whether or not he ever visited Kronborg Castle – Home of Hamlet. 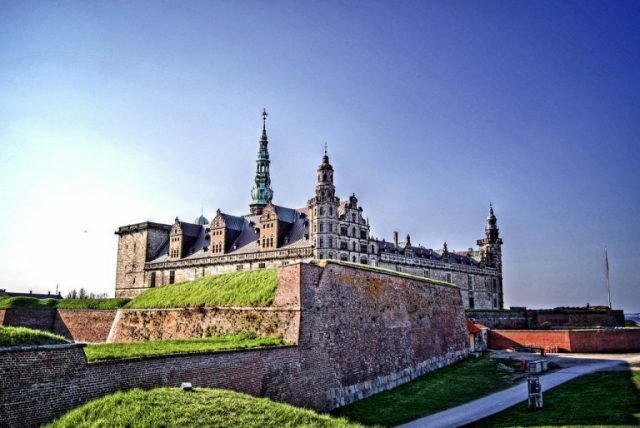 The castle, which has existed at Helsingør (Elsinore) since 1420, was once one of the most important towns in Europe. 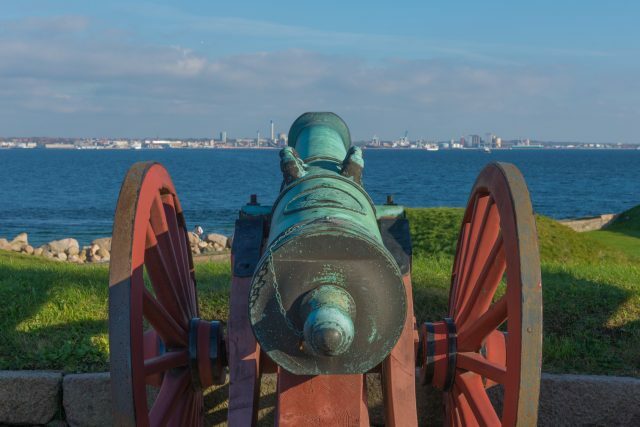 After immersing ourselves to the Danish history in a very beautiful way, the day ends with a return transfer back to Copenhagen.